Authored by epriestley on Wed, Apr 10, 5:01 PM. Make the user profile section of the "Profile" dropdown menu have a transparent background, not a white background. This is a pre-existing issue. 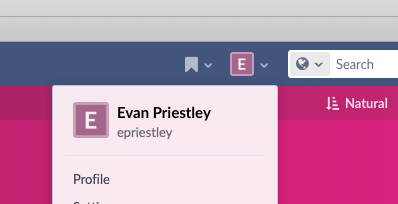 This is normally hard to see, but visible on Workboards with custom background colors. Fix an alignment issue with the little "V" caret in the search scope dropdown. This is a recent issue caused by some tab-caret CSS I added recently for tabbed dashboard panels.